Prototype: Two-axle tank car with a brakeman's platform painted and lettered for BV-ARAL-AG, Bochum, Germany, used on the German Federal Railroad (DB). The car looks as it did in Era IIIb. 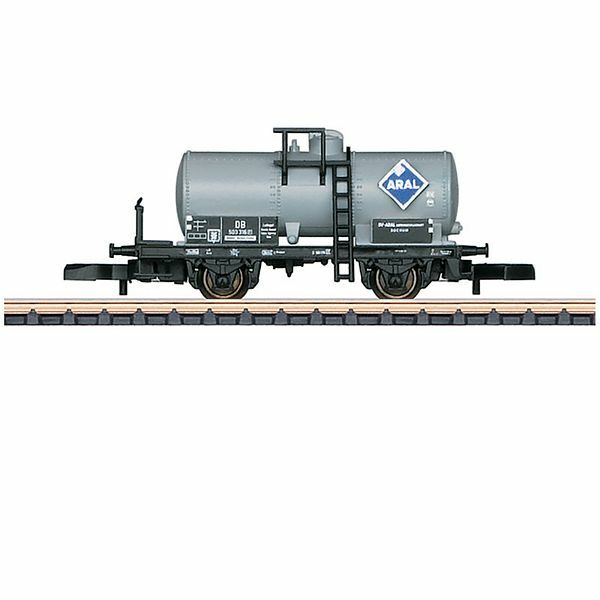 Model: The tank car has a separately applied ARAL diamond. It also has black solid wheels. Length over the buffers 40 mm / 1-9/16".